1) Profiles of female entrepreneurs like YOU at all stages of their business! 2) Practical tips on scaling your startup (pitching, etc.) specifically written for female entrepreneurs, about 300-500 words. What worked for you to get those first 10, first 25, and first 50 accounts/customers? These articles tend to be guest posts, and you can learn about guest posting here. 4) Fun listicles like, “10 worst things about being a female entrepreneur” or “5 ways being a female entrepreneur rocks.” Word count can vary. See an example. See another example. 5) Powerful photography or poetry or personal essay that deals with female entrepreneurship, 1000 words with photos/illos. Think Virginia Woolf: A Room of One’s Own. IMPORTANT: Please read our full Editorial Guidelines–they’re easy and they’ll help you get the best readership for your great work. 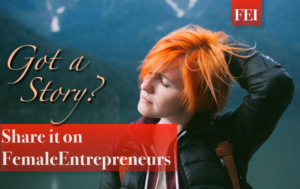 Send your posts, articles and photos to editor@femaleentrepreneurs.institute. Want to reach women entrepreneurs, but you aren’t one? Our posts are written by female founders, for female founders. 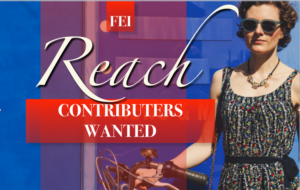 If you are not a woman founder or entrepreneur, you can still reach thousands of female founders who read FEI by sharing smart content. Please check out our affordable guest post programs to reach women entrepreneurs on our platform.